slab form of app. 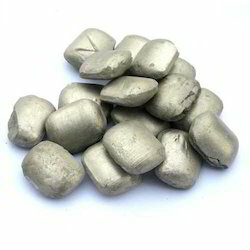 : 4" x 4"
We are one of the leading stockists, Suppliers and Exporters of Nickel Products. Our company is the foremost in trading Pure Nickel. Techno Creations Engineers Pvt. Ltd.
We are actively engaged in offering best quality collection of Nickel Balls that are used for many industrial applications. Commercially pure (99.6%) wrought nickel with good mechanical properties and resistance to a range of corrosive media. Good thermal, electrical and magnetostrictive properties. Used for a variety of processing equipment, particularly to maintain product purity in handling foods, synthetic fibers and alkalies.